Most people end up "backing in" to their relationship with a Realtor when they go to buy a home, but recently a reader wanted to know more about how compensation works for a real estate buyers agent. Sadly, most people meet a real estate buyers agent during the process of looking for homes, and this is actually the worst way to go about buying a home. I have written numerous articles on how to hire a real estate buyers agent, and they all include advice about hiring the agent before you begin physically looking at houses. Why? Because nearly every real estate buyers agent charges the same amount, but the difference between the capabilities, education, and experience levels is frightening vast! Remembering back over 20 years ago when I was new to the business, this line of questions was what hit me right away. Why wouldn't people secure the services of the absolute best real estate buyers agent before they start their home buying quest? Sure, if the best was super expensive, then I would understand why many might choose to go with "cheaper." But as I discovered, you can actually hire the best real estate buyers agent and save money when you buy a home! 1. Is a real estate buyers agent paid a commission based on the selling price of the property? - The short answer on this is "Yes." 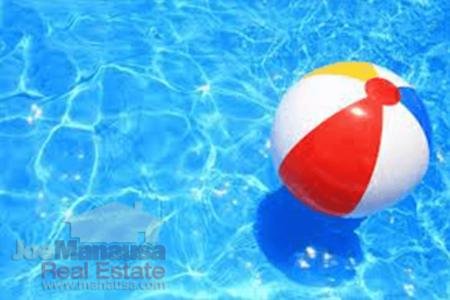 It is a standard of practice that occurs every community in the US (that I am aware of), and is certainly the "way it works" in Tallahassee for most real estate buyers agents. 2. Is that not a disincentive for him (or her) to obtain the lowest purchase price for me? I would say "Yes" for the majority of real estate agents. The average real estate agent in Tallahassee will make less than $10,000 each year (remember, there are many real estate agents that do not work full time), so a few hundred dollars in either direction can be a very significant amount to a low producing agent. 3. Is it a conflict of interest for a buyers agent to show me homes listed with his or her firm since the firm has an obligation to represent the seller's interest? - The short answer is surprisingly "No." The law in Florida allows for this through a few different agency relationships, and most of us use what is known as "transactional" agency to be legal. It has been my experience that the relationship between real estate buyer agent and homebuyer should be built around education (agent educating buyer) on real estate valuation. So when a particular property is found, the buyer isn't asking "what should I offer," rather the buyer should already know what the seller is likely to receive in the market. Thus the buyer should make a compelling offer when buying a home in order to negotiate the best price. The only "exception" I would add is that if the real estate buyers agent is specifically the agent for the seller, the buyer might be wise to ask for the assistance of another real estate agent in that office to review the details of the valuation. 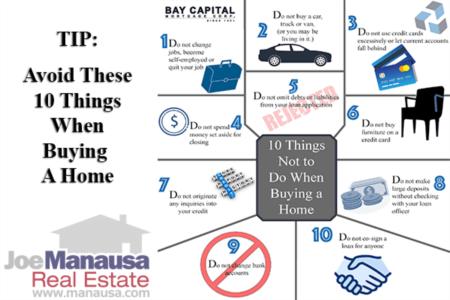 Now that you understand that it is possible to work out a compensation plan prior to home shopping, you see that you can "fix" all three problems identified above! This is huge! Why have fate determine who you work with when you buy a home? Is that really smart? Is your real estate buyers agent merely a chauffeur with a big set of keys? Why not interview a real estate buyers agent the same way you would interview a listing agent for the job of selling your home? Why not find the best one and use a buyer brokerage agreement to ensure that there is no conflict of interest when they help you buy a home? C'mon, you are a reader of the Tallahassee Real Estate Blog, you have to be smarter than the average homebuyer, right? 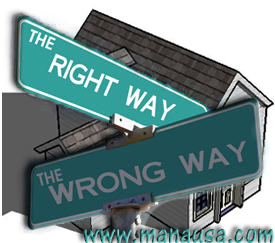 Now, the only thing left is to determine which real estate buyers agent you should select. If you are not 100% certain that you have the best qualified, most-able, committed real estate buyers agent in your market area, just drop me a note and I will refer you to somebody in my network of top real estate professionals who will take great care of you and work for your best interests. Great post. In regards to the second question, "Is that not a disincentive for him (or her) to obtain the lowest purchase price for me? ", how do you do due diligence on an agent to see if they do in fact get the best price for their clients? I suppose you could ask a potential agent to see a record of all home price transactions and the respective asking price of the homes at the time an offer was made. I don't know if that would truly isolate alignment of interest because their are other factors involved, but it is one more data point to evaluate. Unfortunately, I doubt that agents compile this data and if they did, I doubt they would be willing to share it. Thank you Francis. Yeah, I agree with you, there is no real way to track this, as some homes have low asking prices, while others do not. I have sold homes for 80% of asking price that were not as good of deals as homes that were sold at 105% of asking price, solely because of the different strategy of the sellers and their asking prices. But I bet if you prowl some of the business review sites (like Google Places) you will find customer testimonials that will start to make some agents stand out.